...and a voice from my Sewp Box for passion and creativity"
The alchemy that is fashion – to take flat goods and cajole them into jeans, a swimsuit, a jacket or a pair of shoes – is truly an act of magic and artistry. And to be the one that did the making? Besides hearth and home, there is little that gives greater me greater joy. Leather is like no other sewing medium - unique in how it performs under needle and thread, just like fabric, leather presents in many forms. 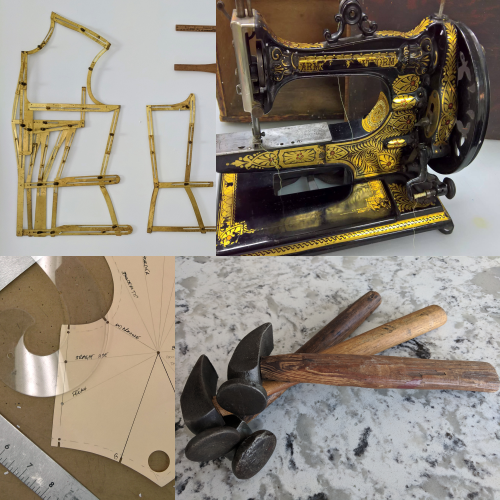 But when you understand its character and remain respectful of its source, expressing your creative sewing genius by molding leather into a bag, a corset or a pair of shoes is incredibly satisfying. "Make your own boots?" You didn't have to twist my arm. 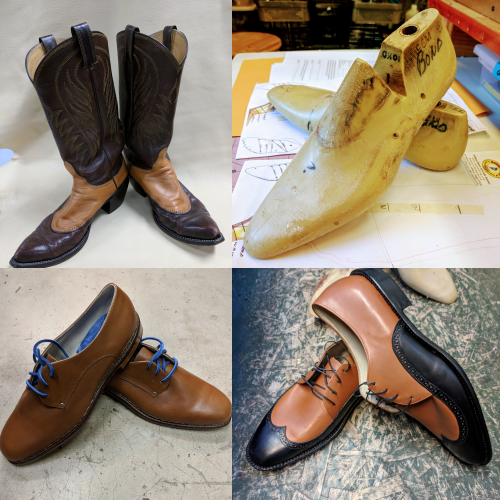 I signed up immediately and a few months later found myself in the company of Deena McGuffin, bootmaker - and now dear friend - extraordinaire. Wow - what a ride! One hundred hours later and a bit of cajoling - "Buck up, Buttercup!" - I completed my first pair. Which led to my second pair, and then sandals and shoes - well, you get the idea. It's completely intoxicating. Textiles and threads provide to fiber artists a palette few other artforms can rival. What can be wrought simply with imagination, two hands and fiber is remarkable. If I were to put into words what I find most compelling about the sewing arts – there is always something more to learn: As expert as I may become, I will always be a student.